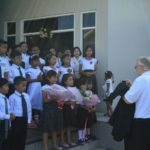 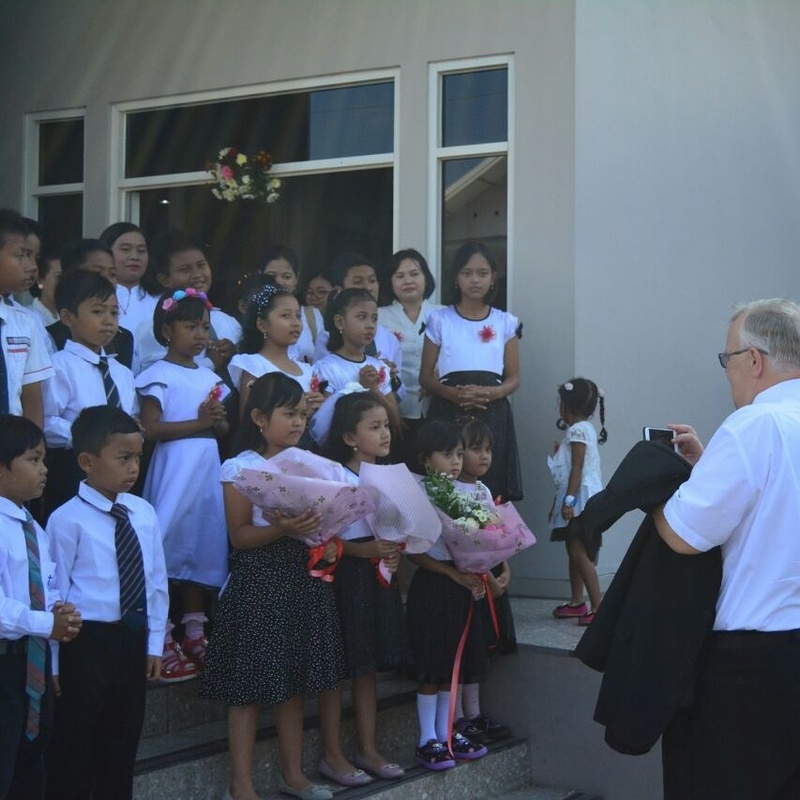 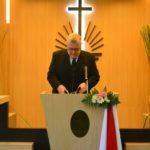 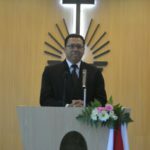 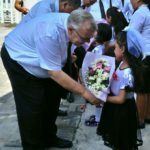 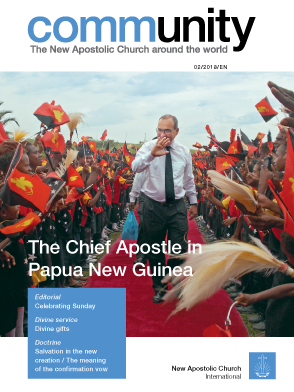 The District Apostle Urs Hebeisen’s visit to the Pantura District on 19-20 August 2017 began with a special service for ministers and wives of Pantura, Saturday 19 August 2017 and then a divine service on Sunday 20 August 2017. 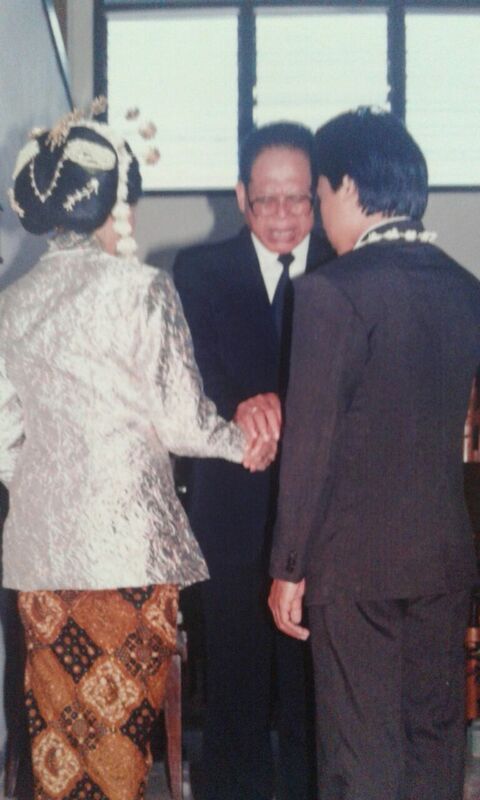 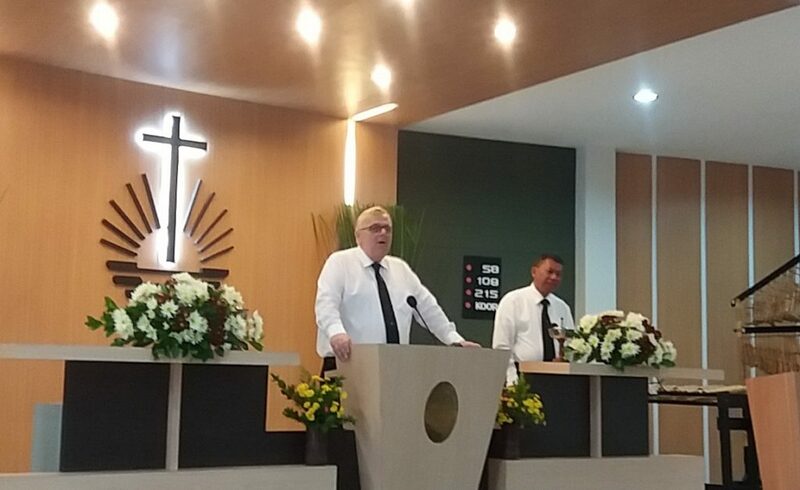 Both were located in Semarang church. 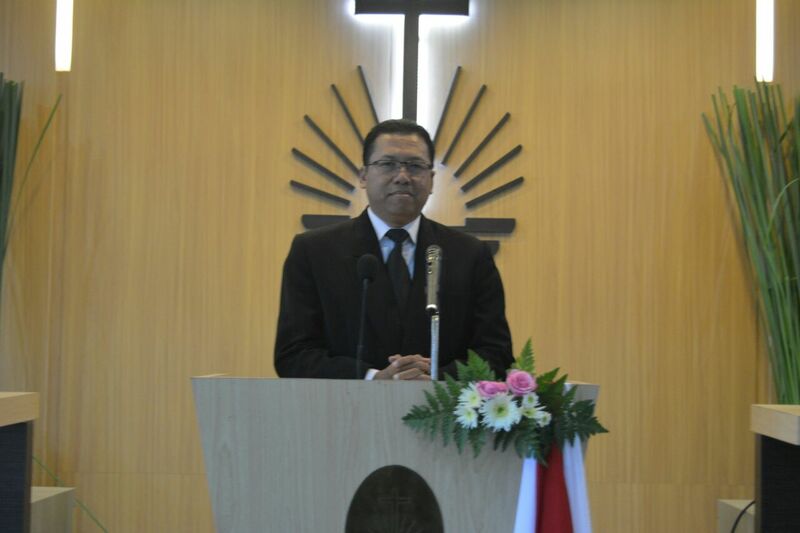 Based on the passage of Matthew 28:19,20, the District Apostle explained the central message of the passage to the ministers and wives to preach the universal gospel. 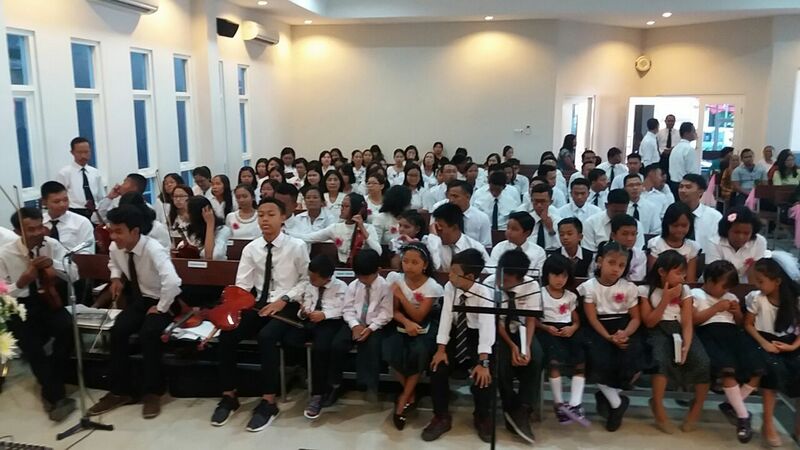 This afternoon service was attended by 95 people. 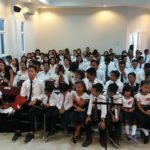 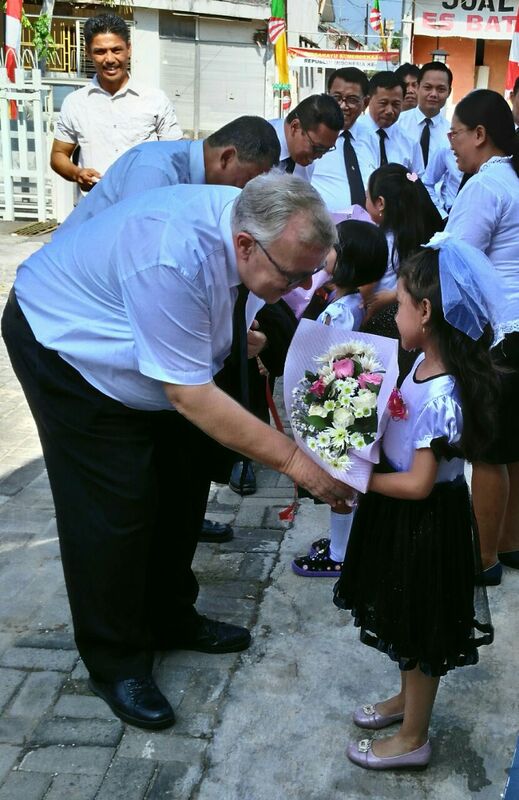 The next day, District Apostle Hebeisen served the children of God of Semarang congregation with the Bibletext from Colossians 2: 6,7. 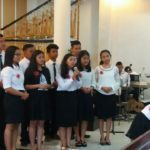 The District Apostle conveyed that God’s children should live more rooted in following Jesus Christ and have firm and strong faith. 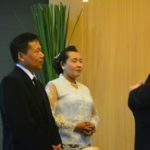 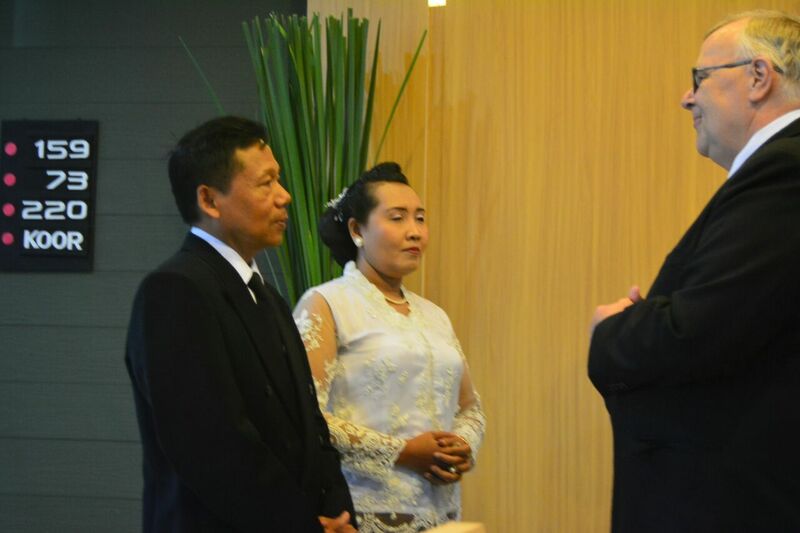 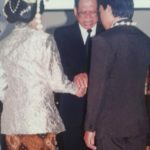 At the service attended by 205 people, District Evangelist Suwidya Yakub and his wife, Sister Dani Sulistyaningsih, received the Silver Wedding Blessing. 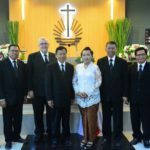 This couple who celebrate their 25th wedding anniversary has been blessed with 1 son and 2 daughters. 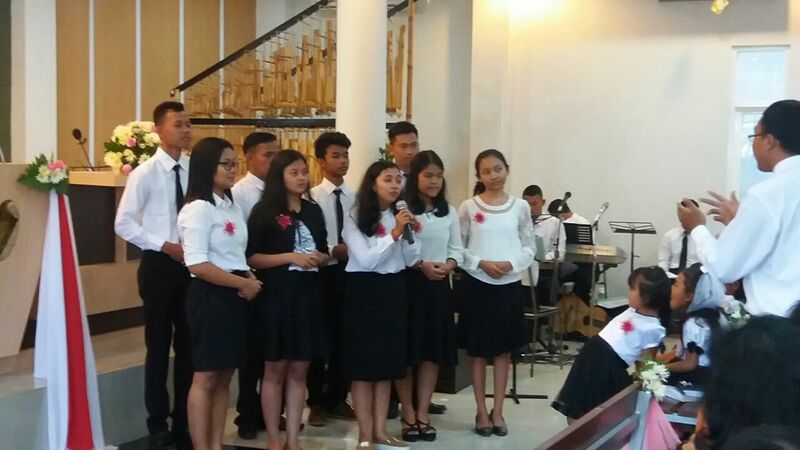 After the divine service a musical program from young people, Sunday School children and brothers and sisters followed. 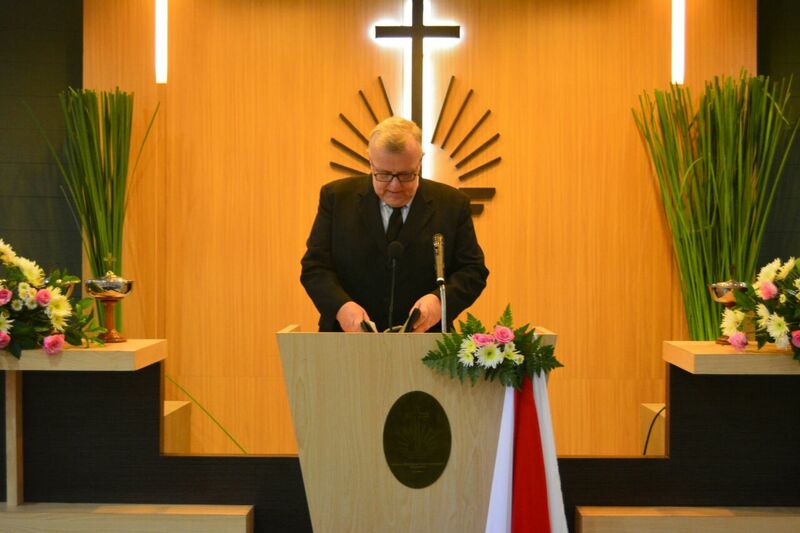 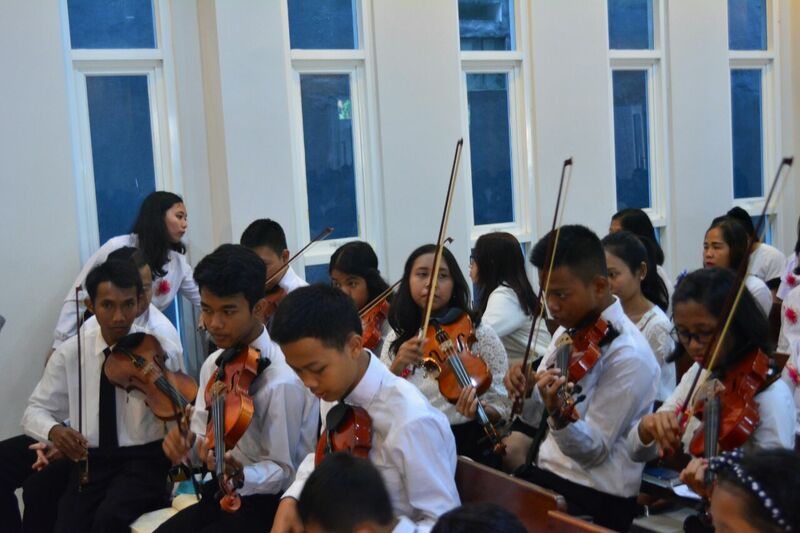 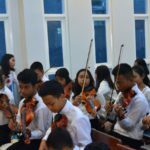 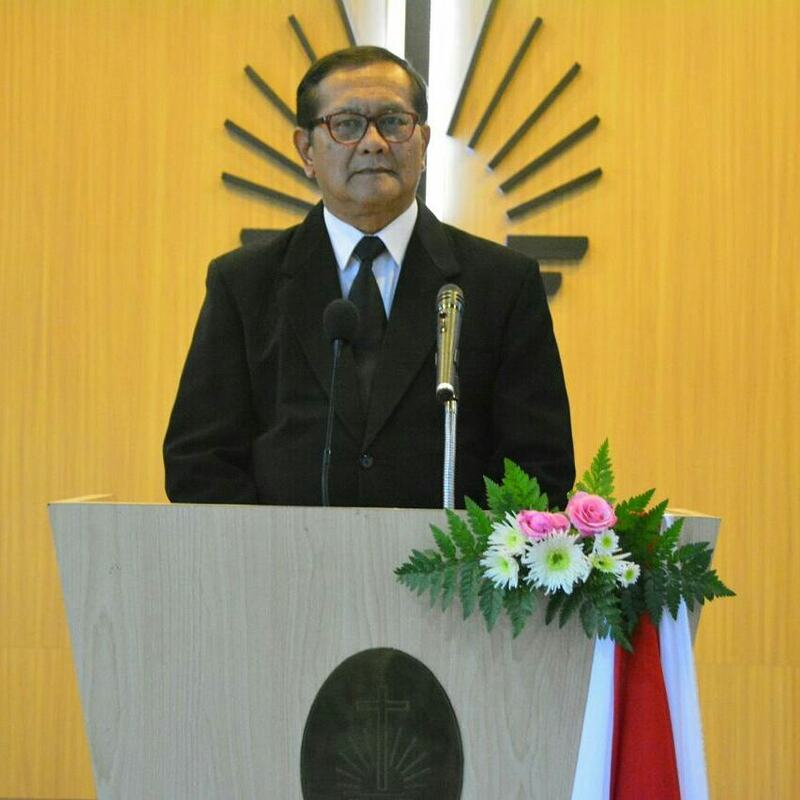 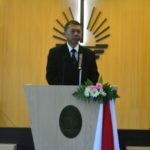 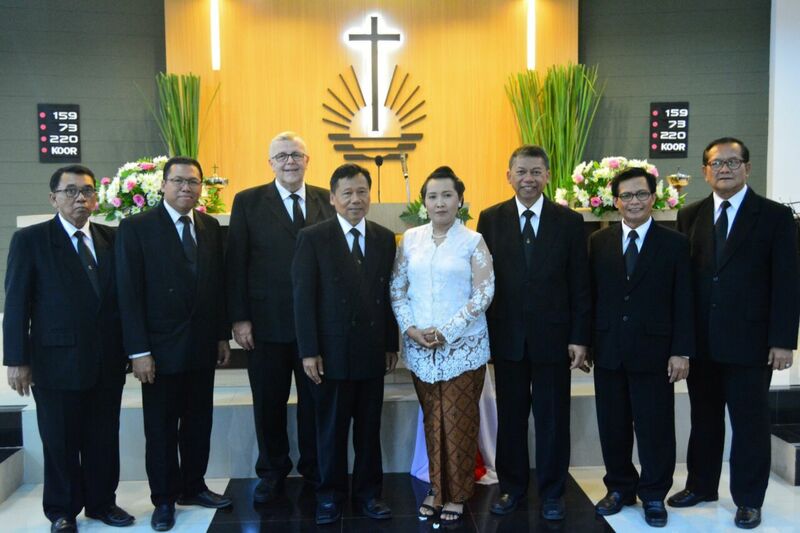 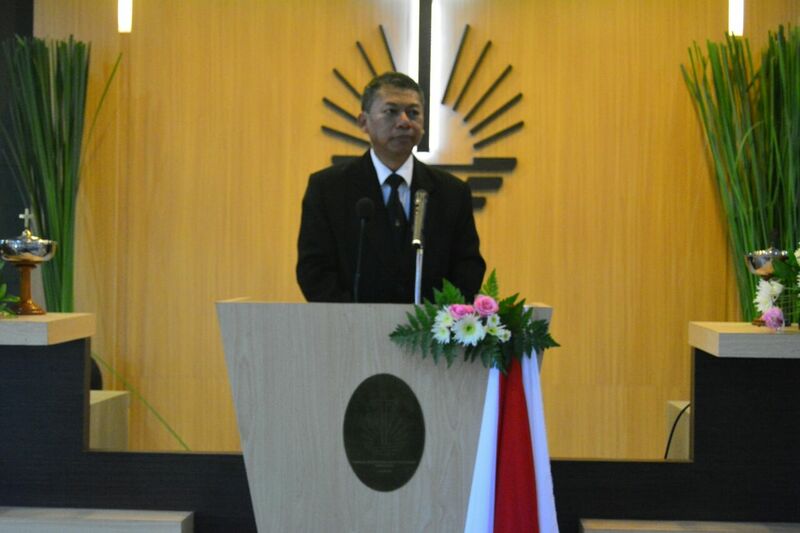 Several congregations, namely Karangduren, Banyumanis, Kendal and West Pantura were involved in this event.